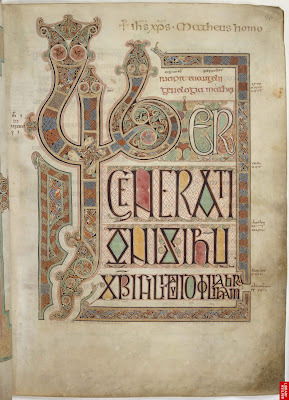 I was searching for the origin of another book at the British Library today when I stumbled across the amazing letterforms from the title page of the Lindisfarne Gospels, one of Britain's greatest art treasures. I'm not well-versed on religious texts, but I do appreciate their beauty and historic significance. This text is said to have been made on the Holy Island in Northumbria (North-East England) most likely, in the late seventh or early eighth century. 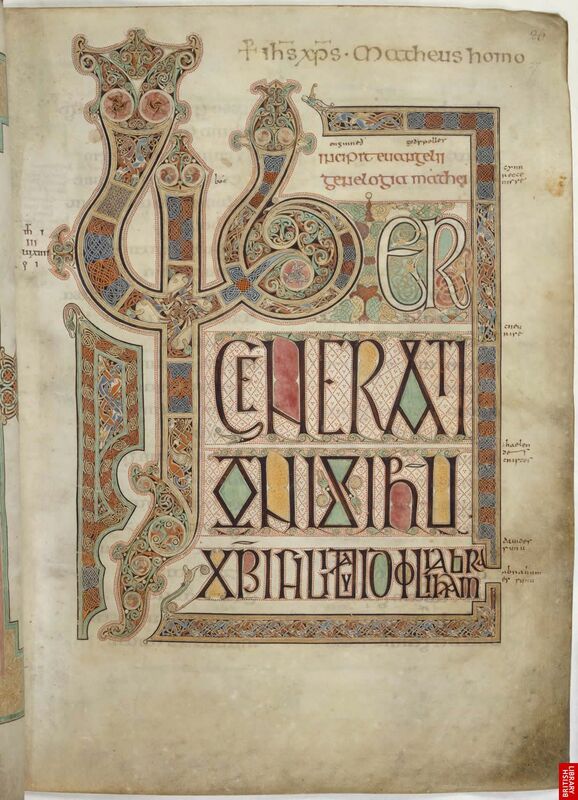 This manuscript is believed to be the work of one artist-illuminator named Eadfrith, who was the Bishop of Lindisfarne between 698 and 721. He used animal, vegetable and mineral pigments to gain a wide range of colors. The text was written in Latin, however the manuscript contains the oldest surviving translation of the Gospels into English, added between the lines around 970. More of the history and pages of the book are available for viewing here. There is a zoomable hi-rez image here.